A cute little girl (I think), seal or blue point. She ate so much and fell asleep sitting on Jossan’s paw. Big nose, small nose. Big paw, small paw. 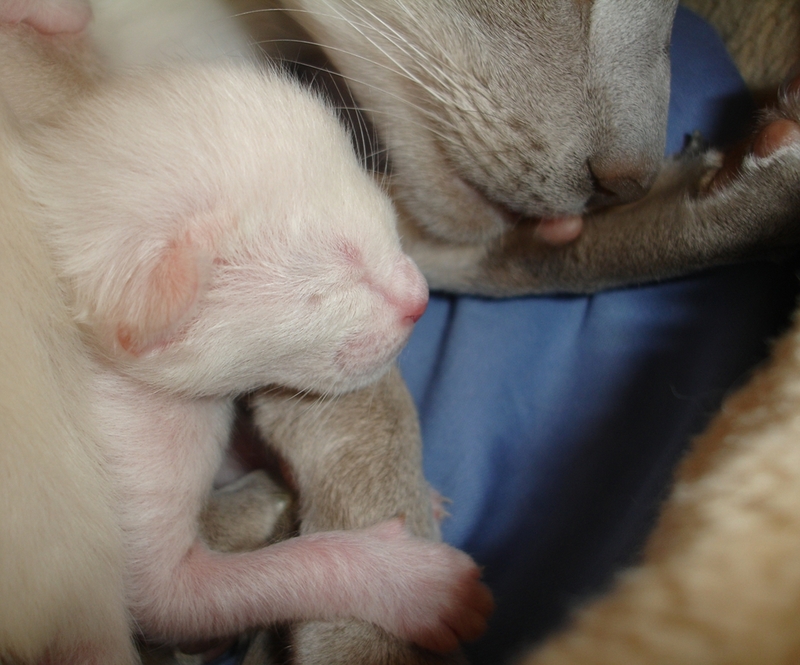 We have a pink kitten again! Mr Piggy! 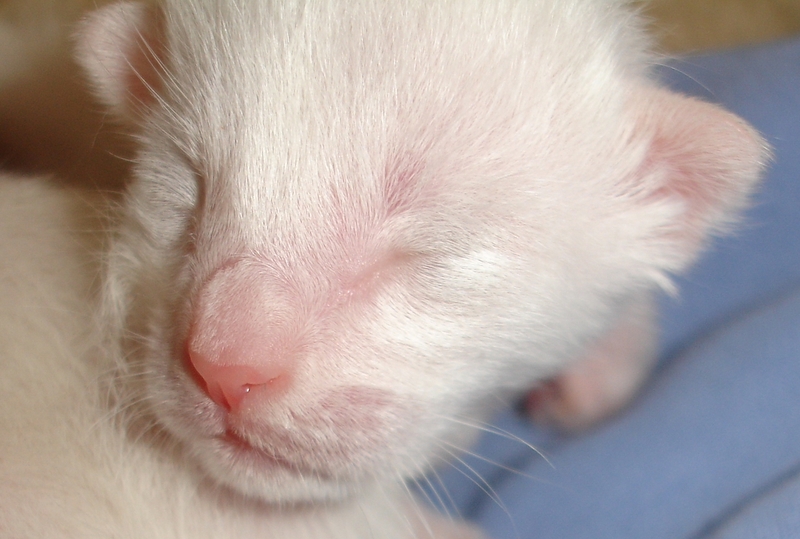 Look at that little ear on the kitten in the front, it is starting to get color. That kitten will probably be seal or chocolate point. 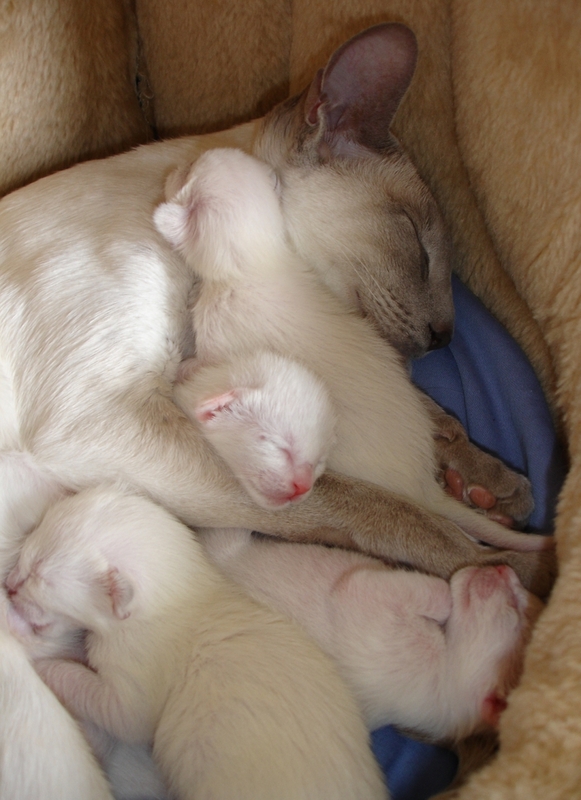 Seal, chocolate, blue and lilac point and also white (Foreign White) are possible colors. 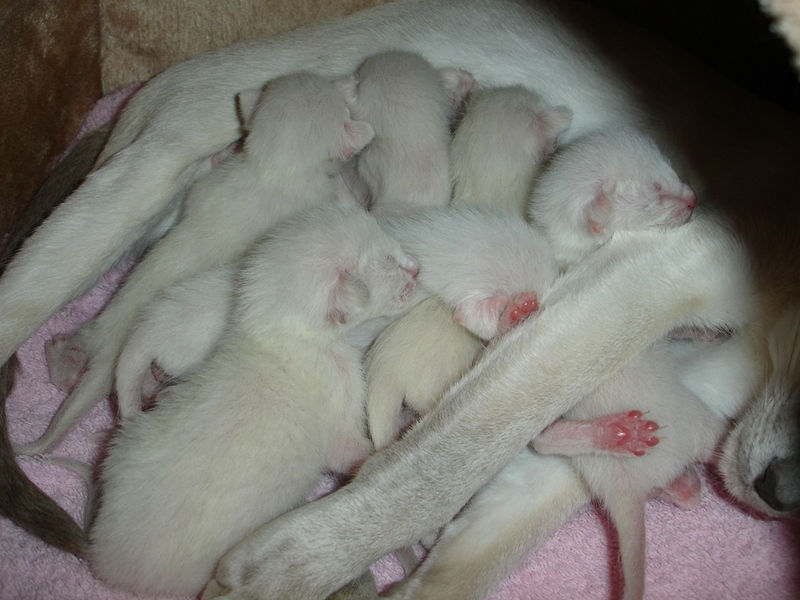 According to another breeder that has experience with FW it does not seem that any of our kittens will be white, all will have points. We’ll see. Also, great news, our cattery name got approved by SVERAK. La Voix it is! The country code included, it will be SE*La Voix! 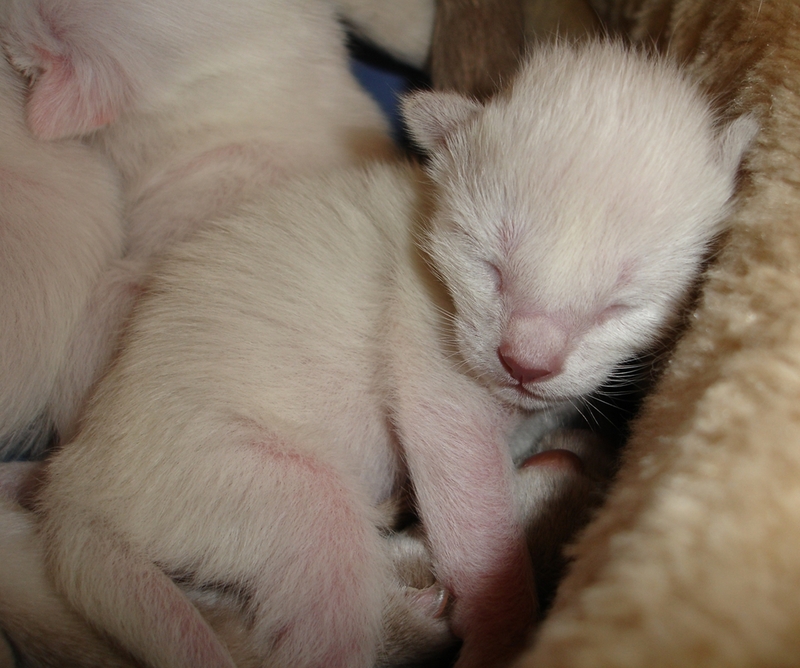 All the kittens we breed will have SE*La Voix at start of their names.